Glide through calm waters full of wildlife. 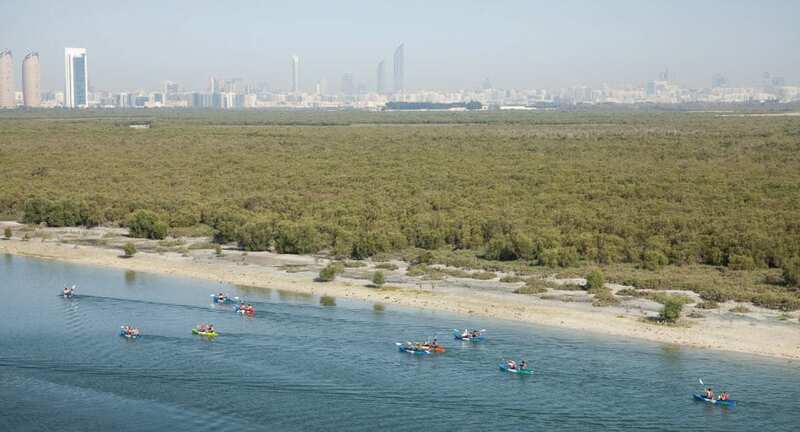 Acting as a barrier against ocean currents and waves, the mangroves fronting Abu Dhabi provide a serene playground for kayakers. Head out with your guide, with daily tours and races for charity taking place throughout the year. Navigate easily accessible channels to spot rare birds, mammals and marine life. Flamingos, herons, foxes, turtles and sea snakes all share this remarkable habitat.